website-reviews | Rank Your Content - FAST! Rank Your Content – FAST! Ok, so first things first. Type in “blog title generator” the one at seopressor is excellent and free. Creating a Catchy title is really the 1st step after deciding what your article will be about. You need a catchy title that someone will click on. What good does it do to rank on Page 1 in 1st place if the title is boring and nobody clicks, right? Of course, even before typing in “blog post generator” you need to decide what your post is about. I suggest once you have your niche chosen or micro niche – than pick subjects within that topic that you are most passionate about. This isn’t really the article to teach about “how to find a niche” but i’ll mention a few points to help you, since, once you have your niche than you can begin creating content. What are you passionate about? Do you have subject you enjoy talking about with your buddies or work colleagues? Something you’re always trying to sell them or convince them about? A weight loss program, exercise, favorite restaurants or coffee, sporting topics, traveling, politics, income, investing, real estate? After you pick a topic than drill down into sub topics as this will give you a better chance to rank in the search engines with long tail keywords and related content. You will make outlines and write faster on topics you don’t have to spend as much time searching about. One way to write content fast is to open a blank document or a new blog post and start making an outline like your teacher taught you in school. The headline will be an h1 tag, the section or sub headlines could be a nice h3 tag. I recommend at least 4 sub headlines and several paragraphs in each sub section. Just remember what you learned in school. Remember that boring class and it was drilled into you how to write a story? I bet you didn’t think back than that the teacher was preparing you to write long blog articles so you can make money on the internet one day in the future. Now we look back and appreciate those writing lessons. Now that you have chosen a title and sub titles for your article in the niche you have chosen. Begin to fill in the paragraphs and sentences by writing like you are chatting with your best friend. What would you say to your friend? How would you say it? 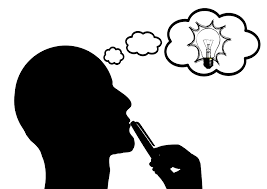 How would you make the information flow so it makes sense to your friend and they can understand what you are talking about? Begin typing the same way like you are talking. Get done writing a few sentences and paragraphs and check for spelling and sentence structure. Make sure the content makes sense, flows nicely, is readable and even fun to read. Let me emphasize again – keep it fun and light. This isn’t a Doctoral thesis. Keep it interesting and entertaining if possible. Also, don’t spend too much time to make it perfect. Later on you can always come back and make adjustments and add content or re-word some of it. The main thing is to get a nice keyword themed article written and published for the search engines to gobble up and rank for you and your readers. After you have written the entire document in a conversational manner, the topics flow properly in a readable – make sense manner. Check to see if you have over 1000 words as this is considered good SEO advice by the experts. Make sure you have sprinkled in your Main Keyword – (Long tail keyword) and secondary keywords. Just don’t over do it by trying to convince the search engines that you know what you are talking about. Or, making sure they really know what your keywords are. (They got smart over the years). Do you remember the days of making sure the 1st paragraph had the keyword repeated 3 times, the sub sections would have it sprinkled in a couple times and than in the conclusion insert it again. Of course back than, you would want to use italics, bold and quotations to point out which are your keywords they are to rank for you. Oh those were the days. Nowadays, the engines are pretty smart and know what you are talking about without following all of those old rules. It’s probably good to practice some of that, still, but not overdo it. When you are all done writing your article and sufficiently satisfied with it, go thru one more time and make sure to use tags (wordpress sidebar), select the appropriate category. In your “all in one SEO” plug in – fill in the title and description that you want the engines to use and add keywords. Now it’s time to go back and add affiliate links if there are any products you are promoting in your blog post. 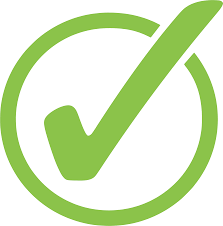 If you haven’t selected a product you could go to your favorite vendors like Clickbank, JV Zoo or others and select an affiliate product and than insert the link. Make sure to use catchy Titles for your affiliate links so someone would be compelled to click the link. Sorry, but, boring just won’t work. Most people don’t like chewing on sand. Put some Zip in it. Make it fun or inspirational. Try to hit a home run by answering the problem that they have that you have solved for them. This truly is another topic for another blog post. However, it is something you will want to think about. Do you want to send your visitor straight to the affiliate link OR to a Bridge Page of sorts where they pick up a free offer from you in exchange for their email and name. This way you can keep in touch with them on about all of your new articles in the subject they are interested in and of course continue to put offers in front of them to solve their problems. It might be a PDF file with TIPS on “How to…”, A FREE eBook on your topic, a Teaser – the 1st Chapter of your training course. Get creative. 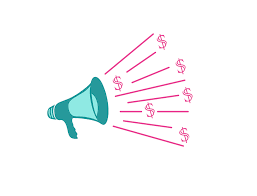 If you send your site visitor immediately to your affiliate link than you did all that work to grab their attention, might or may not earn any income and have possibly lost them to the affiliate program who will be marketing to that person for a long time. It’s better that they perceive you as the expert in the topic and are suggesting they learn more about it by “buying the program” of the affiliate offer. But, you don’t want the person to begin thinking you are of lessor importance. You want them to always be looking for your emails and offers cause they look up to you as the “expert”, their “advisor” so to speak. Now that you have worked so hard creating content for your website, I cannot empathize enough to backup your website to make sure it is protected against hackers in order to keep all of your writing and content safe. This article sheds light on the topic of the importance of website security and the benefit and importance of hosting your website at a Managed Secure Website Hosting Provider. Google Keyword Planner: Of course Google Keyword Planner might be the first place people think of for research. But, is it the best tool to use? Are the traffic results really accurate? If your website topic competitors are using the same ol’ keywords from the Planner than wouldn’t it be better to look at other Keyword Research Tools which are FREE? 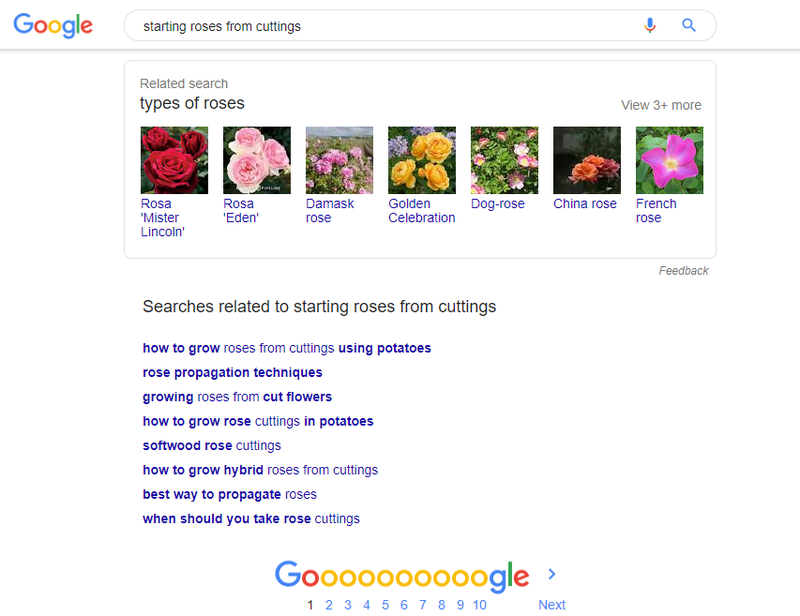 Before we travel to the next concept in this article here is a picture from the Planner which shows the results of the keyword phrase “how to grow roses from cuttings”. This will show you some long tail keyword phrases and cost per click price ranges for the terms that are showing in picture. When you look at the “competition” column as you will competition keywords. The competition level should be on the low side for both organic and PPC keywords. Your article or blog post will get fewer searches and visitors than a broad keyword will provide, but, in the end you should actually get more searches for the keyword that is “low hanging fruit” since less pages are delivered by competitors for a less than broad keyword term. So, it would be better to rank on Page 1 for a long tail keyword phrase and get some traffic vs never getting traffic for the broad term because it will be hard to rank well for. 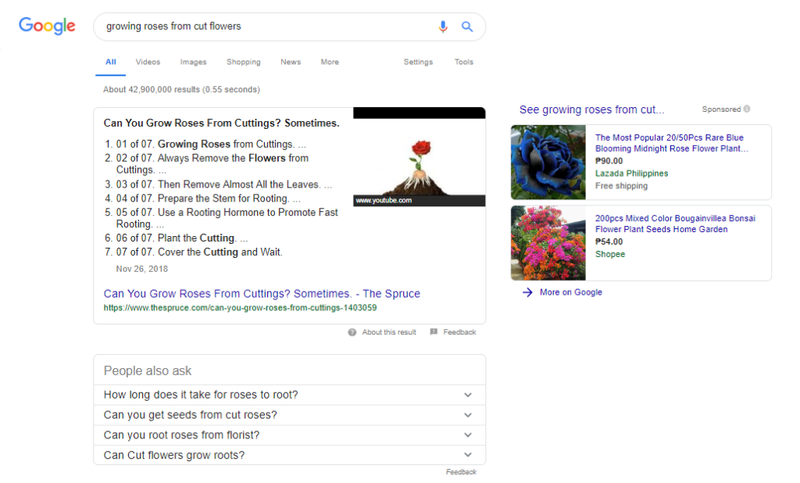 Typing your SEED Key phrase into the Google search bar will result in a wealth of keyword phrases at the bottom of your search results page. Here is an example using a keyword phrase that came from the Google Keyword Planner. So, simply type a keyword or keyword phrase into the Google search bar and than scroll to the bottom of the page to see the Searches Related to… Results. You want to consider these results because sometimes they have low competition compared to Head and Body Keywords. Sometimes you will get a real gem with a phrase that is closely related to your main Key Word and isn’t just a simple variation of the keyword you entered. You will observe that the results from Keyword Planner are not the same as “searches related to…”. Here is a good tip: take one of the “searches related to…” words or phrases and pop that word into google search bar and keep doing this until you have a large list of related keywords which you won’t find in the Keyword Planner. Oh, for one more set of results to make this keyword research even more exciting… On some searches you don’t have to scroll down too far to find “People also ask…” Here is an example in this picture. Where can you go on the internet where people are asking hundreds or thousands of questions related to your keyword? 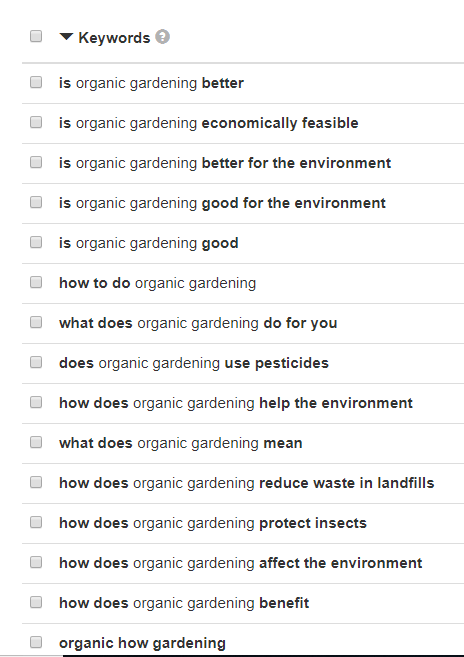 People engaging with each other by questions and answers provides a lot of content and keywords related to your seed keyword phrase. You guessed it. Forums & Boards. Search in this way: “keyword” + “board”, “keyword” + “forum”, “keyword” + “discussion”, “keyword” + “vbulletin”. You will find all kinds of categories about “rose gardening” in one of the forums that appears in the search results. Now let’s drill down into one of these categories and see what happens. Wow, even more keyword phrases in one of the discussions. Also, you can turn to sites like Quora and Yahoo answers for even more keyword laden threads. 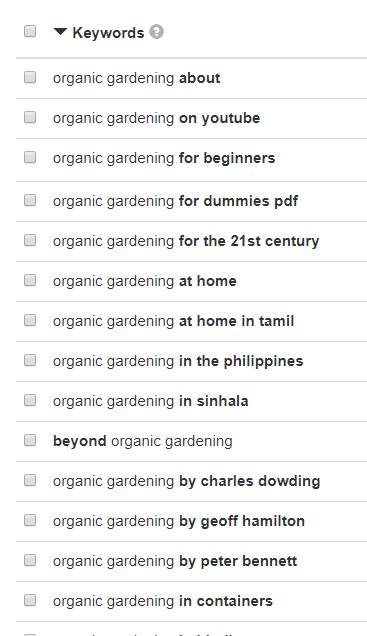 In the “above” results from one Forum, I found 3 really good keyword phrases related to the Seed Keyword. 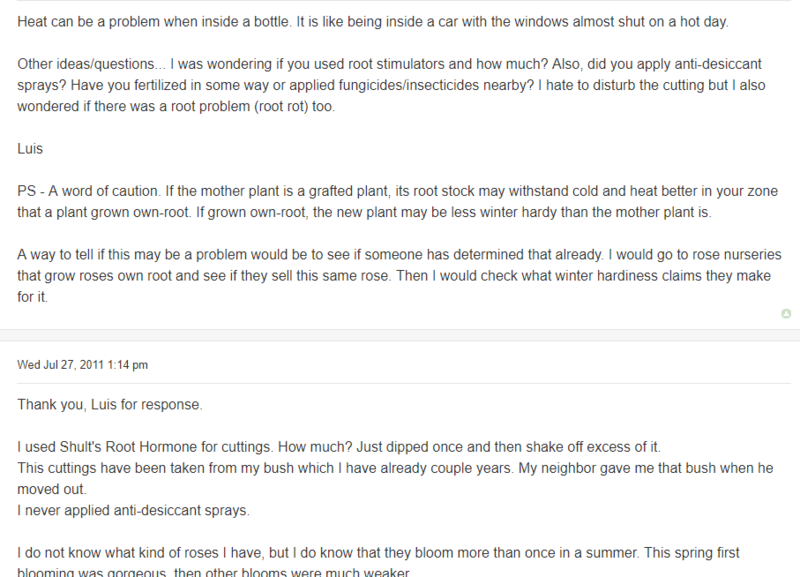 “Root Hormone for cuttings”, “Help with growing roses from cuttings” and “Organic Rose Care”. Head over to Soovle.com and you will see it brings results from Google. Amazon, Yahoo, Bing, Youtube, Answers.com and Wikipedia. Let’s enter a broader keyword this time. “Organic Food” and than let’s look at the results. The results can be downloaded by pressing the print icon in the upper left corner. These are great results as they are probably over looked by many competitors. This tool gives back much more results than Google Suggest. The nice thing is you don’t have to enter in “keyword” plus “a” or “b” – it does all the hard work for you and gives you a nice list of keywords you can download. This keyword tool answers questions that the public asks when doing long tail keyword research. Well, the public just knows it as “searching” for answers to their questions. But, you know it as “long tail keyword research”. Just type a broad keyword into the search bar and click Get Questions. This is now referred to as “Google Search Console”. 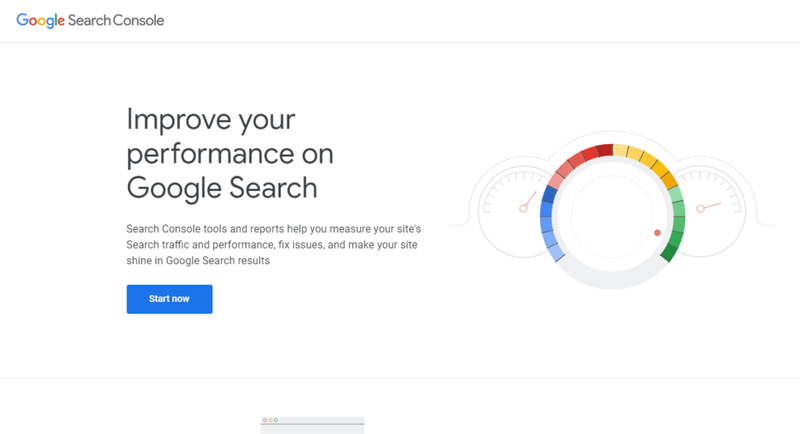 There is a lot to cover in the topic regarding Google Webmaster Tools (Search Console) and Google Analytics in your quest to find out how much traffic your website gets, landing pages, search queries and so much more that it will need to become another post altogether. 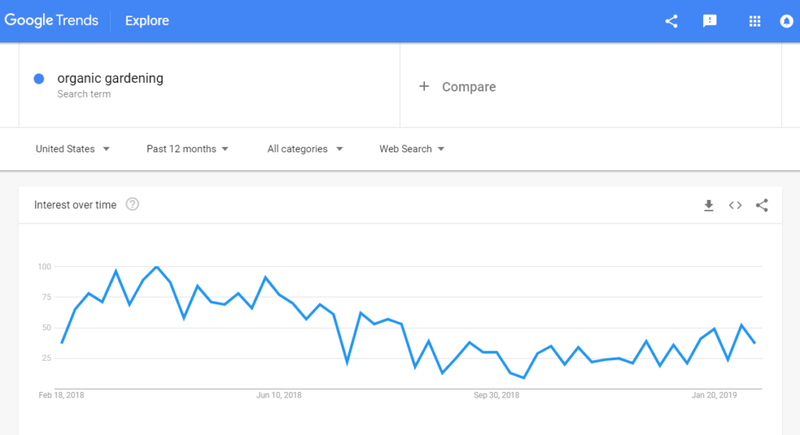 You will find Google Trends an essential search tool before spending a boatload of money on advertising. It will help you see how a search term is trending over a period of time. In the case below you see organic gardening trends higher in June and than tapers off toward the fall. The nice thing is oftentimes under related queries you will find search terms that have not yet showed up on Google Keyword Planner. So, here is an example with the search phrase “keyword research” and it shows a fairly stable graph. Down below in Related Queries we have “free keyword research” which would be nice to explore the long tail phrases from that seed word. One more example of Google Trends. “Eco Friendly” is the search term and it gave up an excellent keyword idea under related queries of “how to be more eco friendly”. Google Correlate will show you words that trend with another word. 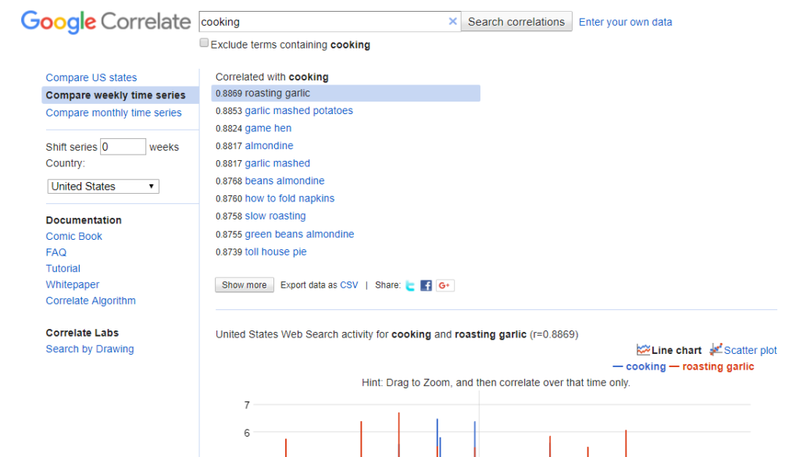 For example “Cooking” Correlates with “Roasting Garlic”. The higher the number next to the Correlation the closer it relates to the main Keyword you searched. 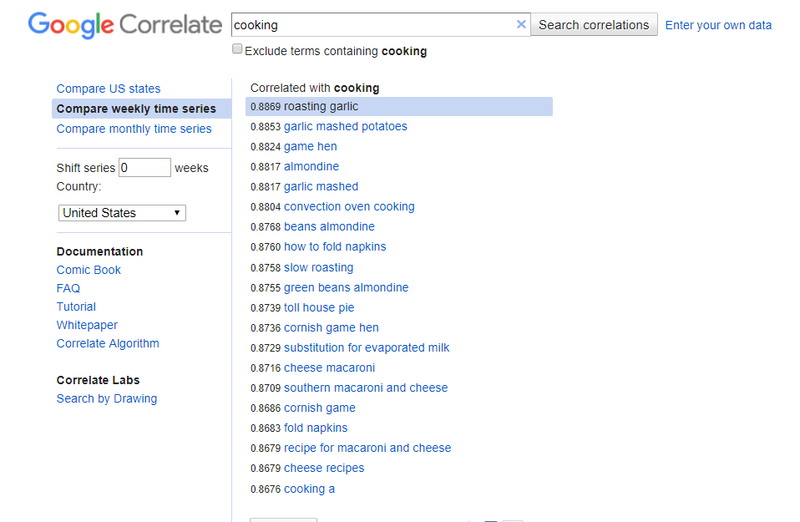 So, here you can see a list of words that correlate to “cooking”. 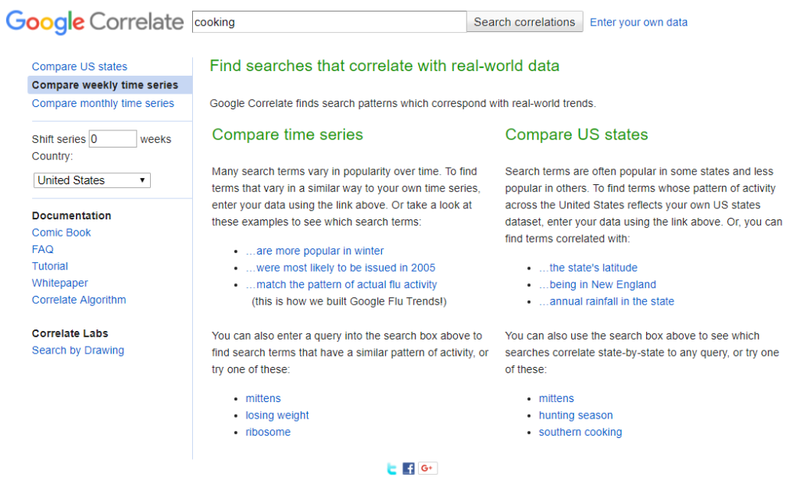 Than, select “show more” down below and you will see a larger list of words that correlate to “cooking”. So, now here is the much larger list of words that correlate with “cooking”. Now, take one of the words that correlate and try them in ubersuggest, keywordtool.io, google keyword planner and the other free keyword research tools. 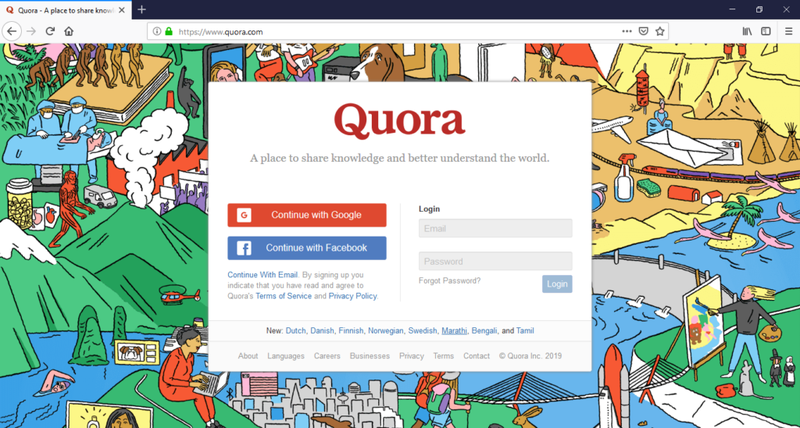 To use and benefit from Quora it is required that you join for free. Than you simply type your keyword into the search box and it will open up to many questions that people have asked with answers to those questions. I have found that the questions and answers are very realistic (not spammy) and most of the time helpful in answering the questions that are asked. 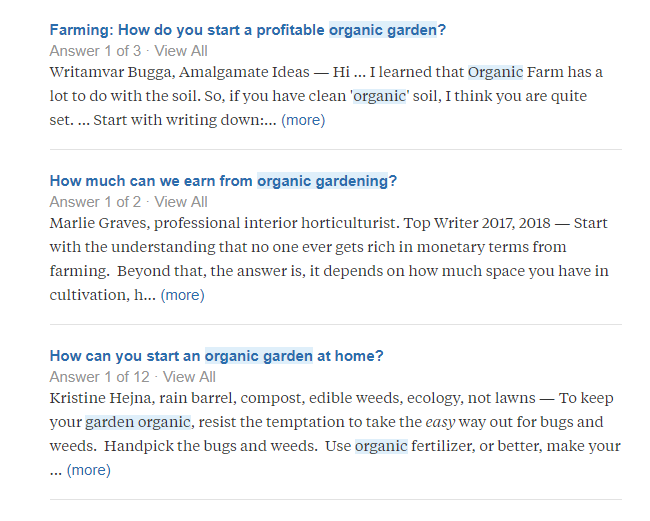 Quora will show you the most popular answers to questions that have been asked. This really is a great way to do “real life” long tail keyword research. 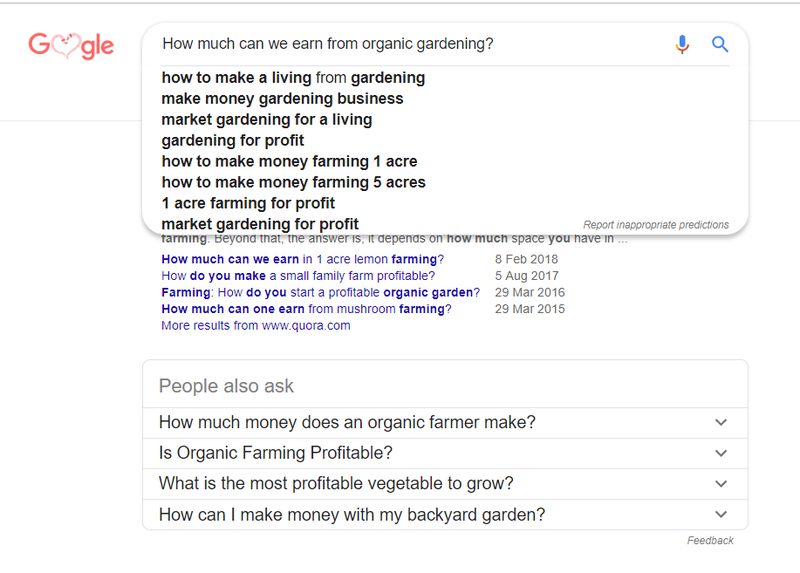 So, here are Google Suggest and “People also ask…” Results from the phrase we got at Quora.com “How much can we earn from organic gardening”. Wow, I’m pretty sure you will be very excited to use KeywordTool.io the FREE version. 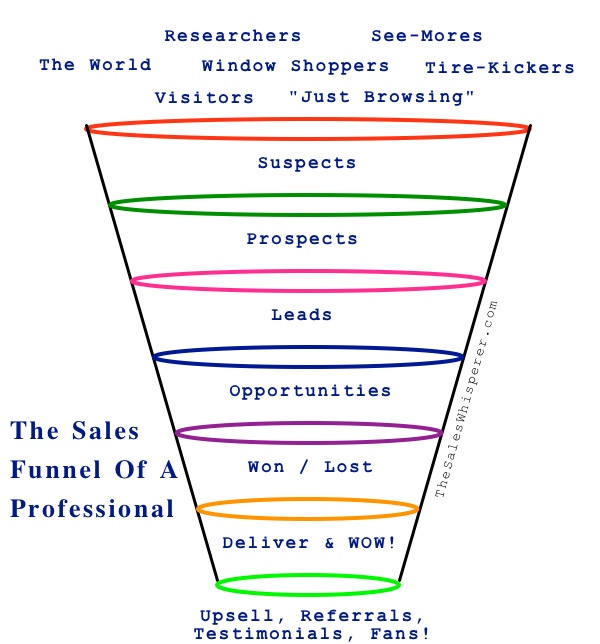 This is like FREE Keyword research on Steroids. This tool offers a lot more than described in this blog post. You really need to check it out yourself directly. Even though I list a bunch of features, some features require the PRO Paid Version. Keyword research in multiple languages. Analyze Competitors. Check Search Volume. API Access. Keyword Suggestions. Questions. Prepositions. Results from Google, Youtube, Bing, Amazon, eBay, AppStore, Instagram & Twitter. Filter Results, Negative Keywords, Monthly Trend, Cost Per Click. Sort Columns. Take a look at the following pictures to get a better idea of the power of this free keyword research tool. Now that you have several free keyword research tools it is time to pick your favorite or a mixture of all of them – go find your long tail keywords, making sure to find those that have commercial intent. Wealthy Affiliate teaches how to build a website and add content, SEO Optimize the website and earn money online. 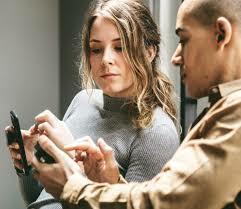 You have probably come here to read this review because you want to know how to earn a living online and you want to know if this training course is high quality – the best, is it full of wonderful accurate content that really will help you make a living online and reach your dreams – or is Wealthy Affiliate a scam. 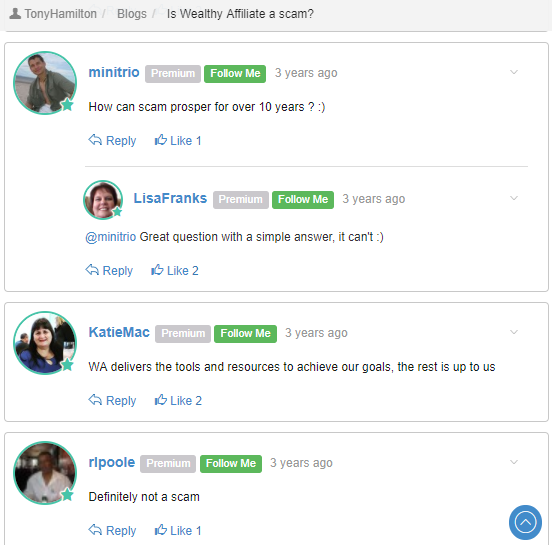 Are there positive and negative reviews and feedback about Wealthy Affiliate? If I follow the Wealthy Affiliate path will I have success and achieve my goals? CON #3 You can quit chasing so many other utterly worthless programs and wasting precious time. This product is for people who want to earn a living online or supplement their income with online income. The training can help you succeed at earning an income with affiliate marketing and you can even cross over into e-commerce and other online income strategies. It is also very helpful for someone who enjoys top tier training by owners who are very involved in the platform and a zillion community members stepping in the help each other thru blog posts, additional training, chat board, website feedback and commenting. 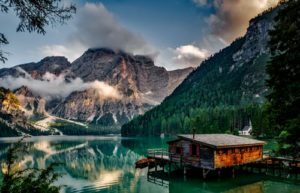 It would not be for anyone who is lazy and expects to press a few shiny buttons on a piece of software and hope for an instant stream of income so they can retire from their job after a few days of affiliate checks. The support offered with the product. Is there a community, forum, personal support, do the owners support it. Whenever I need help I ask tech support or the community or search the blog and very quickly I have all the answers I am looking for. Tech Support is friendly and very helpful. During my time in FREE Mode where I was able to avail the 1st Training Session Called “Getting Started” with 10 Lessons, I was offered a 59% discount on the first month of Premium membership for $19.00. Being so impressed with the 1st Session I couldn’t resist. I felt there was no more need to keep looking around all over the internet for something that I could latch onto with true step by step training in a manner that makes one feel accountable. After the 1st month of Premium it’s hard not to be “hooked” and so going into another month at $49 is really a no brainer. I figured even if I decided not to follow this proven success path – just being able to host 25 private domains on their servers with this outstanding tech support was worth it alone. 25 hosted domains for $49 a month? With a hosting platform that takes care of Security for you and doesn’t require being an expert in security plugins to keep your site safe. (if you have ever had your sites hacked on a cheap shared hosting platform you will understand the piece of mind that comes from being hosted with a very capable professional company). But, wait – than, if I wanted to be serious and learn from blogging and affiliate experts and be part of this huge helpful friendly community – it was simply icing on the cake. You will quickly find your mindset changing from “it’s nice to have found a great hosting platform that – oh by the way has great training” to “wow, incredible step by step affiliate income website and seo content creation training – Plus Fantastic Secure hosting for 25 Private Domains”. I mean really – it’s a no brainer. Who else offers a better training hosting product? Because www.wealthyaffiliate.com offers so much in the way of training, hosting and community I find it is an exceptional program – thus, I have joined and enjoying every moment. It’s truly beyond my expectations. After going from being a FREE member to a Premium member more doors opened up. 9 More Training sessions plus webinars on many affiliate income, website building and seo and marketing topics plus question and answers sessions. Getting answers directly from Kyle and Carson was the icing on the cake. Before creating “Wealthy Affiliate” in 2005 which now has over 100,000 members – they were formidable bloggers and affiliate marketers. Another nice “touch” the members are part of by having such fine well known Mentors. They also created Jaaxy which is the most powerful keyword research tool out there. All Premium members get to use this tool as part of their membership. The FREE members can give it a try on a more limited basis. All of us who write – labor so intensely for content that will resonate with our readership – that we want the content to be indexed quickly in the major search engines and to be found by human searchers. Of course we are really wanting our long-tail keywords to be ranked on Page 1. Even though there are millions of articles written by authors – not all are writing to monetize their content. But, many are. Those who want to monetize their content want their keywords to rank in the search engines fast. For those needing a quick explanation of what is a long-tail keyword – it’s like a micro niche of a broader topic. Well, let’s use “Keywords” as an example of a broad topic This word will be very very difficult to rank for on Page one of the SERP’S. However, by breaking down the broad topic into a smaller more focused topic such as “How to find long tail keywords”, you have increased the chance of your article or blog post that you worked so hard to produce – to be found on the first page of search engines. Oh, by the way, did I mention that Organic Traffic is what you really want for your website content. Do you always want to pay for your website visitors? Proper keyword search, having corresponding content that relates and being able to achieve high placements will result in FREE Traffic – Organic Search Traffic. How important are Long-Tail Keywords? A research by Statista shows that over 50% of your on-page optimization focus should be on long-tail keywords. Thus, if you write your content centered around long phrases than you will increase the chances of your content being found and read and having engagement with the reader who is searching the specific topic you wrote about. Think about how you search. Would you search the term “SEO” and want to read thru 1000’s of articles and search results or would you rather narrow the search down to a sub niche such as “How to get keywords to rank quickly”?. There will be fewer results for that longer phrase and it will increase the chance of your page appearing on Page 1 or 2 and being found by a searcher of that topic. We will start with a “seed” keyword. Go to Google Keyword Planner and type in WordPress. Than, scroll down to “Get Started” and press the button. So, after doing this search on the next page are the results. This screenshot reveals a few of the keyword ideas that resulted from searching the word WordPress. Now, Let’s look at the most relevant – in demand keywords and expand them further for more variations. Ok, now from the above list copy and paste “wordpress website templates” into the search bar and look at the long-tail keyword results. Now we have some long tail variations to choose from from this list of keywords that came from the Seed “WordPress”. It is proven that Head or short tail keywords do not convert as well as long tail keywords. Your goal is to meet the buyer where their intent is when searching. For more clarification on the “principle of intent” – there are who are browsing, shopping and buyers. When visitors are still in searching mode they will tend to use informational terms such as “how to”, “free”, “ebook”, “top 10” and when they are ready to purchase they will begin they will begin to use commercial intent keywords with prefixes or suffixes such as: “where to buy”, “discount”, “cheapest”, “coupons”, “deal”, “free shipping”. During your searching you will probably run across informational and commercial intent keywords that you can build your content around in order to intercept people as they search the topic for which you have published well written content. 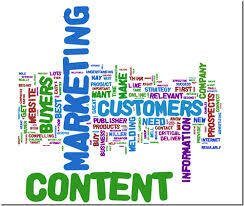 As content creators understand the principles of long tail research and decide to incorporate micro-niche keywords into their blog posts and articles in order to increase the visitors to their website and engagement – they reach out for tools that will simplify the process of keyword selection and which words have the highest chance of success in being ranked high in the search engines. 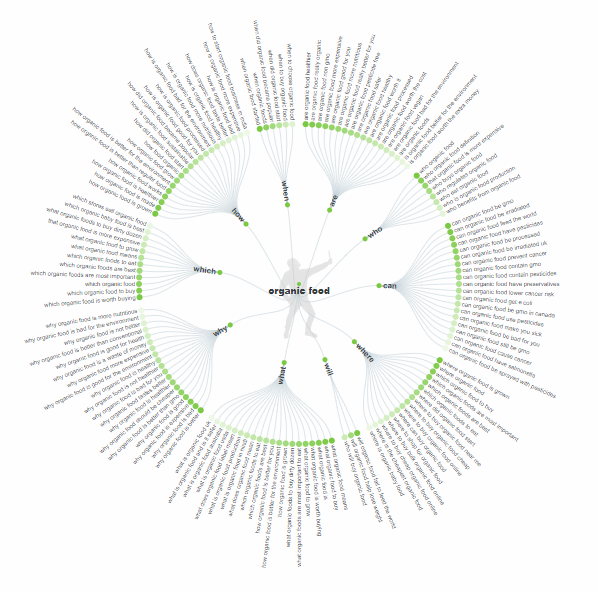 Probably one of the best Keyword Research Tools I have run across is LongTailPro. It will help you easily find less competitive keywords that can get you tons of high-converting online traffic regardless of your niche and helps you find thousands of long tail keywords you can rank for. Measuring Keyword Competitiveness Has Never Been This Easy. 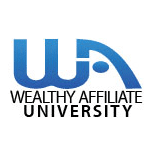 Wealthy Affiliate – Has Tons of Education available related to keyword research and content development – leading to earning revenue from affiliate offers surrounding your content. This is a brilliant step by step training program with features and benefits that would take too long to mention on this one article. See the About Us Page to get a taste of what you’re in for if you signed up for the free training. We Buy Homes for Cash Investor Video Channel Review – Let’s take a look at some of these videos on Youtube and decide if you prefer the videos with puppet character or the text videos. Each of these We Buy Houses Fast videos pertain to investors that pay cash for houses. Either for flipping the houses or buy and hold strategy of long term rentals. These are often purchased quickly without the need for sales agents to be bringing their customers thru the house at tremendous inconvenience to the homeowner. Typically, this website reviews websites but today instead of looking into a website and commenting on it we are reviewing a Video Channel – the topic is “buying houses fast”. So, take a look. Here are some of the video links starting with the main We Buy Houses Fast Video channel. Please comment below your thoughts and preferences and any enhancements or changes you recommend. Also, subscribe to the video channel while you are at it. So, go ahead. Take a look at each video. Make a comment below and subscribe to this channel. house. They just want the home sold fast and want a cash buyer who can purchase the home as is without any reservations or contingencies. 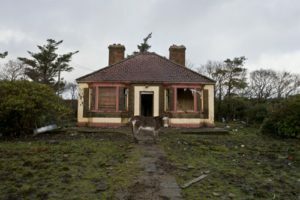 It’s not uncommon that a fixer upper might be owned by a party who doesn’t have the funds to repair the home and they are not able to get top value for the home so want to just get it sold and move on to greener pastures. Some people may view cash investors as Sharks. The reality is they are buying and selling homes as a business just like a supermarket buys goods low and sells high in order to make a profit spread. It’s just that the stakes are much higher since they are not buying and selling a can of soup – they are often dealing in hundreds of thousands of dollars per transaction (depending on location, of course). market earning dividends and possible appreciation – they are loosing out on that income and that loss needs to be made up in the house purchase / resale transaction they are making with their funds. The home may be off the market for many months being renovated, inspected, readied for resale and than another few months while it is being sold to a retail buyer. 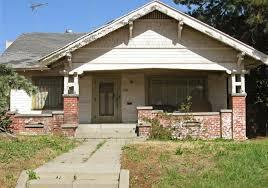 In short – just be glad they bought that house down the street and fixed it up and resold the home at a nice price strengthening the overall value of the neighborhood. Let’s review Sell My House Fast Portland and We Buy Houses Portland Oregon to see what the subtle differences are. Both pages of this website focus on popular terms home sellers use when trying to find an cash investor who would like to purchase their home quickly with the least amount of hassle. These types of Portland Cash Investors like to buy homes in any condition, As Is and for any reason. So, the seller may simply want to relocate or they may not want to do the extensive repairs required to make their home attractive to sell quickly for top dollar. They just want to move on and leave the fixer upper home to someone else to deal with. Keep in mind that many sellers don’t want to deal with the public walking thru their home and always keeping the home cleaner than normal to impress people and not be embarrassed. So, I would say both of these pages do a fairly good job in describing what the website is about and keep within the theme of the website. These pages deliver information about selling your Portland home quickly and letting you know their are cash as is buyers for your Portland home. I’d give my thumbs up to both pages that discuss the topics of: Sell My House Fast Portland and We Buy Houses Portland – of course Portland Oregon. Also, the website is attractive and laid out nicely and gets right to the point. This is certainly a helpful website for Portland home sellers and those who want their homes to sell quickly as is with a cash offer. We Buy Houses AS IS – Wow, about time a top notch high quality We Buy Houses AS IS websites comes online. A real site offering real information that is helpful to homeowners, sellers and buyers and investors. 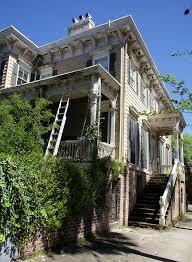 Flippers, Rehabbers and Buy and Hold Investors. Take note! Rather than showing a picture of the website just hop over and take a look. I think this one has all the elements that an investor website should have. It describes clearly how cash investors make fast offers to sellers who want to have no hassle real estate sales. Maybe you can use this site yourself if you have a home to sell fast and want a fast home offer cash as is. Or you might be an investor looking to learn how to buy deeply discounted homes for sale. Portland, OR homeowners are happy to know of Capo Construction specializing in Energy Efficient Home Remodeling. With the cost of energy being so high now – residents of Portland – tenants and homeowners alike are seeking ways to reduce their energy bills and keep their carbon footprint smaller. Thus, they are learning about “green remodeling” and “energy efficient homes” such as are being remodeled and built by home performance contractors in your local area. Utilizing “green building” materials and techniques to reduce the amount of energy a home uses and by employing a rating system such as “BPI” or “HERS” a blower door test can be performed as well as a home energy audit and home energy assessment to determine which areas of the home are leaking the most amount of energy and than developing a solution that will reduce the energy loss, thus, saving on household energy bills. While some homeowners may elect to have a complete home energy remodel and incorporate as many “green” materials as possible in all areas of the home remodel – others may elect to only do the “energy efficient” aspects of the remodel and not spend so much on updated the remainder of the home at that time. Either way an energy efficient remodeling contractor from Portland will be able to assist. Since this post is a site review – the screenshot is below and as the webmaster of the website develops it further you will be able to see the enhancements and read the blog posts related to Portland Energy Efficient Homes. What is an Authority Website? What exactly is an “Authority Website“? 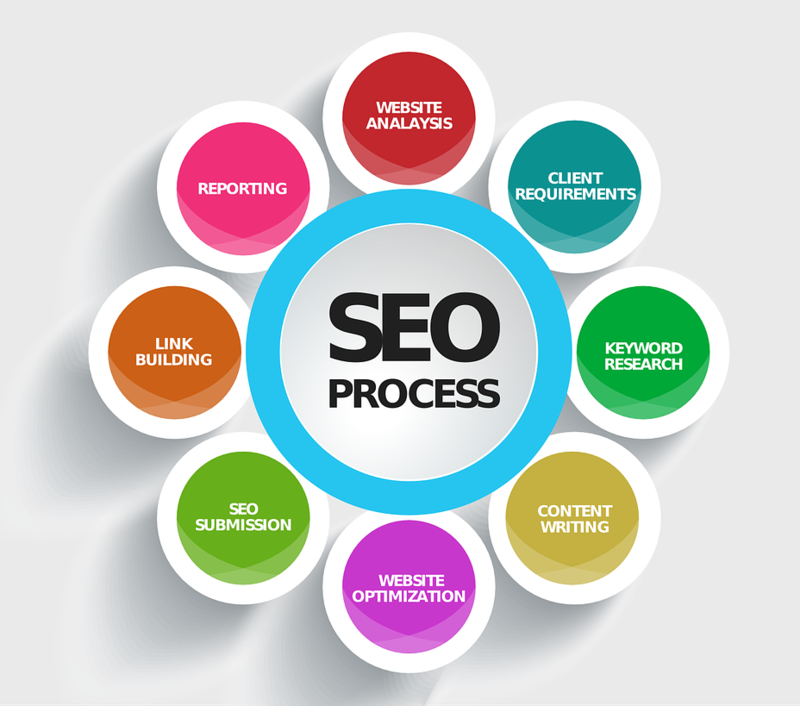 This term is used a lot in the SEO world of search engine optimization companies and webmasters who want to rank their sites higher for their chosen keywords. You can find a lot of technical jargon about authority sites that will go into tremendous detail about how page rank, works, how to climb in the serps, short tail vs. long tail keywords, monetizing your website and backlinking strategies, plus, a whole lot more. All of those elements are part of an authority website. Webmasters, trying to get their website to the top of the search engines are pulling out all the tools at their disposal to drive their site up above all competitors. The search engines, on the other hand, are trying to keep a robust but competitive business model thriving and their goal (besides revenue) is to satisfy their users and serving up relevant content for what is being searched. And, not any relevant content, but, the best content and from authority websites. It seems the search engines have become fairly good at weeding out an authority website from a look alike authority site (a spam site or a legit website but that really isn’t authority, but the webmaster is throwing everything at it including the kitchen sink to get it to rank over the real authority sites. So, this is where the search engines have to become real smart – to decide which is spam, which site is real and which site is real and authoritative. You could almost think of it as a battle between the webmasters and seo companies and the search engines. Or, even, between the webmaster of the non authoritative site and the webmaster of the real authority website. Each is vying for top positions. The money spots. Of course, being in first place, top spot, on page one being the prize. 2nd and 3rd slots being honorable positions. So, what really makes for an authority website? Think of it like this and it might help to understand the difference. Let’s use a site on gardening as the topic of our example. In fact, maybe it’s a site on organic gardening on the west coast. The owner of the website just happens to be an organic farmer and is a talk show host on a radio show that has millions of listeners. His website is chalk full of real content from professors at a local university specializing in farm practices, horticulture, gardening development of maximizing the usage of land for high yielding organic crops. Besides, this content, there are examples, demonstrations, training, question and answers, an active forum, a podcast – recordings of the weekly radio show. Local and statewide newspapers quote this farmer and reference his website on a regular basis to cover gardening topics. Many large popular websites are linking to his. News websites, universities, government websites and other authority websites. The next example is someone who is a real organic farmer but really a hobbyist. Grows the best tomatoes you’ve ever had and uses the best urban gardening methods available. The website goes up, becomes locally popular to other urban gardening enthusiasts and from time to time a local newspaper does a write up about this gardening method being performed by local citizen. 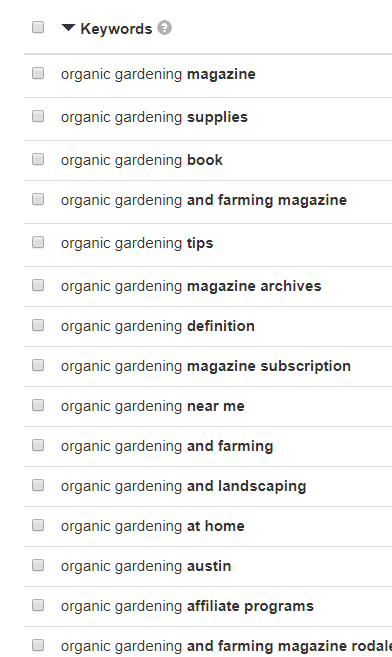 The next example is someone who decides they can make gobs of money from building a niche website on organic gardening. Fill it with various advertisements and start filling their bank with the revenue that’s going to start pouring in. The three websites in our example are all going for the same keywords. By the way, besides these three there will be many more competitors for the same keywords. Let’s think about this for a minute. Which website do you think will rank highest for a given keyword? So, since we already know which one – let’s talk about the other two. The second site probably won’t go crazy with optimization because the owners goal is not to earn revenue but to share info. The motive might not be there to go to great lengths to “rank”. The third site is going to employ various search engine optimization strategies to outrank the first website. Can it be done? Yes in many instances. But, the webmaster will probably also from time to time need to “freshen up” the site to hold onto the top spot if he is able to attain it in the first place. Partly, because the search engines will continue to refine their tools that determine ranking of sites. It will try to identify the true authority websites and make sure they rank above websites that are trying to earn top spot with “back linking” strategies and other seo practices. If you would like to get your hands on formerly expired domain names with very good and high metrics (seomoz, majestic, etc..) please leave a comment below and a spreadsheet will be forwarded to you with paypal link for payment. The formerly “expired domain names” are registered and ready for a new owner to take advantage of the organic search engine traffic they receive due to the former owner’s efforts in building backlinks. Many “expired domain name” buyers use these types of “aged domains” to build out new sites and have various ways to monetize them and bring extra traffic. They like the fact that they domains are aged sometimes 10 or more years old with lot’s of referring lrd’s (linking root domains) and inbound links. Many have had former PR and many will have alexa ranking and links.